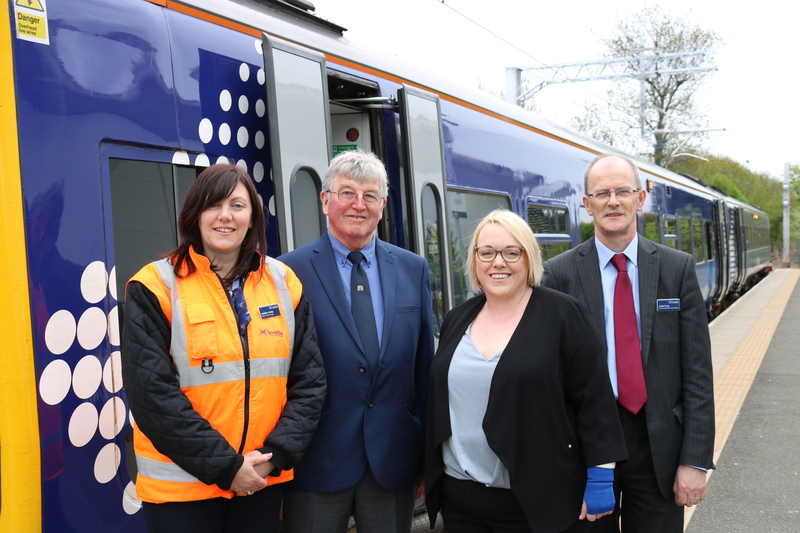 The ScotRail Alliance is marking 10th anniversary of the official reopening of the Alloa to Stirling railway line on 15 May. Passenger services on the route were restored on that date in 2008 with a special steam train service along the line. Scheduled ScotRail services began on 19 May 2008. It was initially estimated that 150,000 customers would use the line each year, however, over 300,000 people travelled on the line last year. The reopening of the route spurred a regeneration of the town, with a new public square constructed outside the new station which features a large piece of public art by Andy Scott, creator of the Kelpies. The route, which was closed originally closed in 1968, was the first in Scotland to be reopened. This has since been followed by the reopening of the Larkhall branch, the Airdrie to Bathgate line, and the Borders Railway to Tweedbank. The line was electrified earlier this year, ahead of the introduction of electric trains between Glasgow Queen Street, Stirling, Dunblane and Alloa. “The Alloa line has been a phenomenal success and its reopening has been transformational for the area. More local people are using it and we’re delighted to be celebrating this 10th anniversary. “That nearly four million passengers have used the train service since it re-opened is testament to its success and I have to acknowledge those who worked so hard to deliver the project.